We moved to a house right on the river in December and since then Diego has found a new love for the river and swimming. Last Summer he slowly learnt to enjoy putting his feet in, and playing with toys around the waters edge, but this Summer he has really extended his limits of swimming. He now will happily swim around chasing sticks, rocks and toys and will even dive under to get a lucrative prize. I decided that I needed to purchase some new toys to play with down at the river, and test them against the destroyer, Diego. 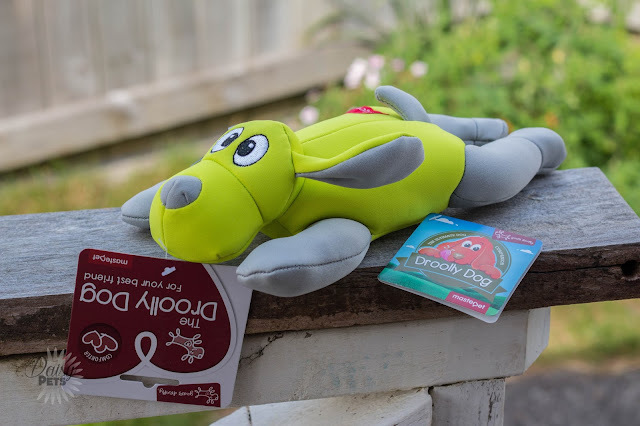 I purchased three toys to begin with from Petpost with free shipping and they all arrived within two days! Hey! Recently we went to the opening day of Animates in Whanganui, and were browsing the isles for new products. Immediately, the Isle of Dog treat range caught our eye with their brilliant packaging. They had a range of the treats on offer but I picked up the 'Smile' version to try out with Diego. Isle of Dog treats are 100% natural and depending on what type of treat you get, have ingredients that naturally help your pooch. 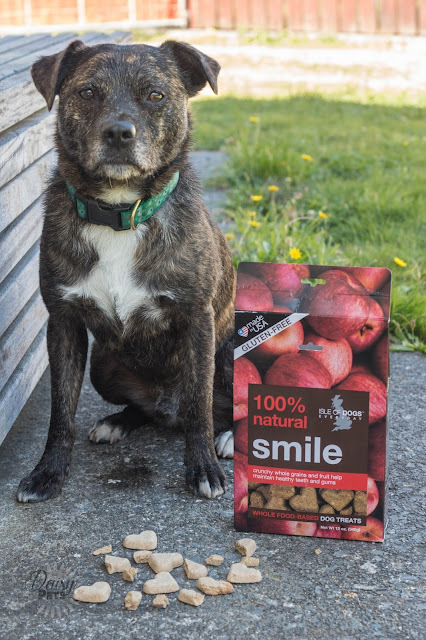 In the Smile treats there are apples to help scrub tartar and kelp which works to support the digestive system making these treats perfect for supporting your dog's oral health. The rest of the ingredients are easy to read, and stuff that you could easily find in your own cupboards. These have no nasties in them, that I even gave them a try for myself. I personally am not the biggest fan. They were a bit like cardboard for me, but still very edible!